Because Autarky class themselves as a working dog food they avoid VAT which makes the food that bit cheaper. The foods are well designed to cover the range from puppy to Senior and offer good value for money. Autarky Puppy/ Junior has a higher nutritional content to support your young dog’s very important, growth and development stage. 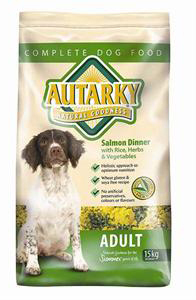 Once your dog reaches its prime and is at its most active, Autarky Adult will provide a significantly higher proportion of energy from fats. 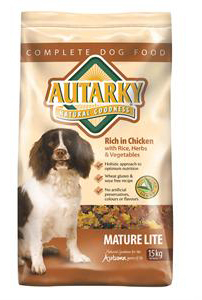 Adult also contains ingredients and key nutrients to help optimize fat utilisation from your dog’s diet; Autarky Mature Lite has moderate calorie content suitable for the older dog. Autarky offers a small range of excellent natural foods, maybe a little over the top on herb and plant extracts at times but if that excites you then it's not going to do your dog any harm! Not a lot more to say! Priced at around £21/15kg it is hard to argue about the value of this brand!